The people who know the flame retardant fabric know that the flame retardant fabric can be divided into three categories according to the flame retardant effect: inherent flame retardant fabric, durable flame retardant fabric, and disposable flame retardant fabric. Among them, the flame retardant fabric is mostly used in non-washing or infrequently washing conditions, because the flame retardant effect of the flame retardant fabric will be gradually dissipated after a water wash, and the durable flame retardant fabric and inherent flame retardant fabric can be tested by water washing, it is used for flame retardant ability. Manufacture of tooling and flame retardant cover. Xinxiang Yu Long Textile Co., Ltd. , which has been engaged in multi-functional fabric and garment production and processing for many years, has integrated its multi-functional fabric factory and manufacturing plant into a whole. We call it flame retardant fabric and flame retardant garment one-stop production line. That means we can provide you with both fabric and clothing. Because of this, we mainly export long-lasting flame retardant fabric and inherent flame retardant fabric. The flame retardant fabrics we sell are perfectly resistant to fire or flame. The price of inherent flame retardant fabric is more than 1~5 times higher than that of ordinary durable flame retardant fabric. In addition, after years of study in our long business of textile industry, the amount of washing times of the durable flame retardant fabric produced by us has reached 100 times. The flame retardant ability, tearing resistance and wear resistance of the fabric will not be weakened, so it can be effectively extended. The service life of the flame-retardant tooling. Therefore, most of our customers will prefer to buy durable flame retardant fabrics. But we do not ignore the importance of inherent flame retardant fabrics. 4. flame retardant fabric feels soft and has good breath ability and moisture permeability. 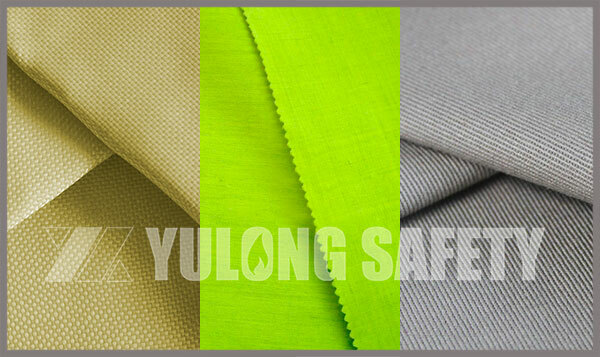 5. the raw material flame retardant fabric produced by the dyeing process of Yulong has a higher degree of color saturation than the conventional flame retardant fabric on the market. Xinxiang Yulong Textile Co., Ltd. has been engaged in the production and research and development of flame retardant fabric for many years. In the Yulong, there is no flame retardant fabric / flame retardant garment you can't order only if you have unexpected products. PREVIOUS POSTDose HOT SALE Anti UV Clothing really Anti UV?